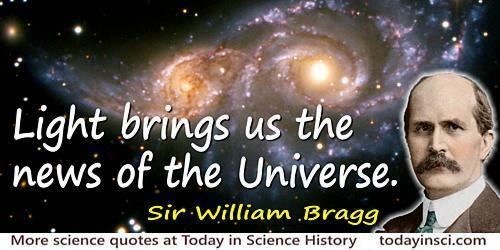 English physicist who was the father of Lawrence Bragg, with whom he shared the 1915 Nobel Prize for Physics. Both researched crystal structure using X-ray diffraction methods. It is strange that the immense variety in nature can be resolved into a series of numbers. Lecture (Christmas 1923), 'The Atoms of Which Things Are Made'. Collected in Concerning the Nature of Things: Six Lectures Delivered at the Royal Institution (1925, 1954), 37. 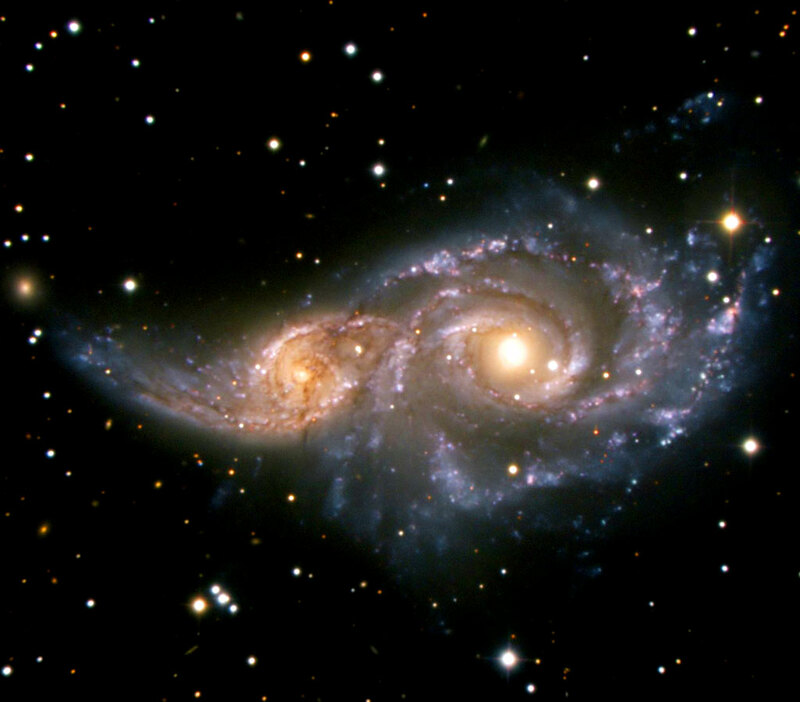 Light brings us the news of the Universe. The Universe of Light (1933), 1. No known theory can be distorted so as to provide even an approximate explanation [of wave-particle duality]. There must be some fact of which we are entirely ignorant and whose discovery may revolutionize our views of the relations between waves and ether and matter. For the present we have to work on both theories. On Mondays, Wednesdays, and Fridays we use the wave theory; on Tuesdays, Thursdays, and Saturdays we think in streams of flying energy quanta or corpuscles. 'Electrons and Ether Waves', The Robert Boyle Lecture 1921, Scientific Monthly, 1922, 14, 158. Sound … cannot travel across what we call a vacuum. … Light and our eyes that see it deal with the doings of the whole universe; sound belongs to the world only. I may talk of the universe of light, but I can only talk of the world of sound. In The World of Sound (1921), 10. 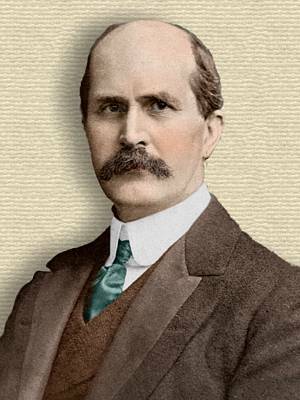 2 Jul - short biography, births, deaths and events on date of Bragg's birth.